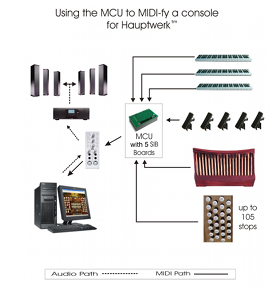 The MIDI Control Unit (MCU) is a flexible and compact solution for adding MIDI output to an existing pipe organ console. It is suitable for professional or home use. 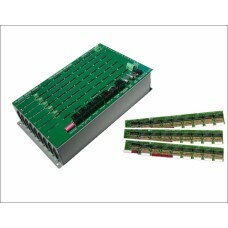 Allows a maximum of 105 switch inputs for functions such as stops and pistons. Five analog inputs are available for volume, expression, tuning, and crescendo inputs. 4 MIDI output DINs to control multiple MIDI devices. 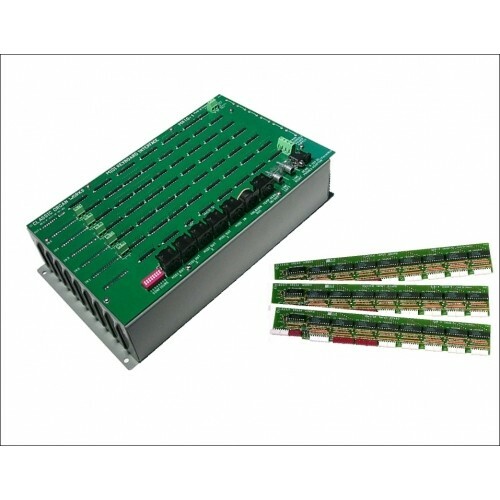 Stores up to 128 user configurations programmed using the included software. 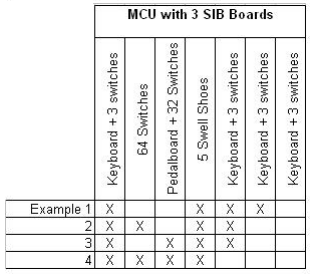 MIDI-input merge function allows multiple MIDI devices to be connected together. Supports an optional GM-MIDI module, L and R RCA lineout and 1/4" stereo headphone out.